A. No. 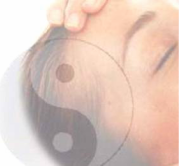 Reiki works in conjunction with regular medical or psychological treatment. If you have a medical or psychological condition, it is recommended that you do see a licensed health care professional in addition to receiving Reiki treatments. Reiki energy works in harmony with all other forms of healing, including drugs, surgery, psychological care or any other method of alternative care and will improve the results. It absolutely does no harm and can accompany any conventional treatment you may be having. A. Yes. By using a picture of the person you would like Reiki sent to, by writing the person’s name on a piece of paper or simply by thinking of the person I can activate the distant symbol to send Reiki to them no matter where they are. They could be hundreds of miles away, but it makes no difference. The Reiki energy will go to where it is needed. A. Since Reiki is guided by the Higher Power, the Reiki energy will know the condition of the client and adjust appropriately. Reiki can only do good. Many pregnant women have received treatments with great benefit to them and their unborn child. It has also been used during child birth. At ReikiNi we gladly welcome pregnant ladies. Q. Can Reiki treat animals ? A. Animals love Reiki too. They seem to have a natural understanding of what Reiki is and its benefits. Once a pet has received a Reiki treatment, they will often let you know that they want more. Wendy at Reikini has a particular interest in animal Reiki. A. At Reikini treatment usually will cost between £20 and £30 depending on how many treatments are booked and if prepaid.